More than 700,000 apps were also removed from the Play Store over security fears. Google has issued its latest report on bad ads, revealing a new high in terms of removals. According to the report, Google has removed 3.2 billion ads that violated its policies and promoted harmful content, malvertising, phishing scams - amounting to 100 bad ads every second. Aside from removing ads, the company also said it had blocked 320,000 publishers from its ad network, blacklisted 90,000 websites and 700,000 mobile apps. It also changed the way it analyses sites. It no longer looks at the entire site and decides either “this can go” or “this can’t go”. Now, it is looking at individual pages within a site and if it decides the page does not comply with its policies, it will block advertising on that particular page. The rest of the site can stay monetised, if it complies with Google’s policies. 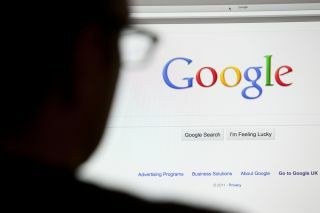 Google has also stressed that it had changed its policies both for publishers, and advertisers. Thus, advertisers have to comply with 28 new policies, while publishers need to tackle 20 new ones. The report states that all numbers are up – there has been many more ads blocked, publishers removed, websites and apps blacklisted, compared to the year before. “Our work to protect the ads ecosystem doesn't stop here—it's ongoing,” Google said in its announcement.